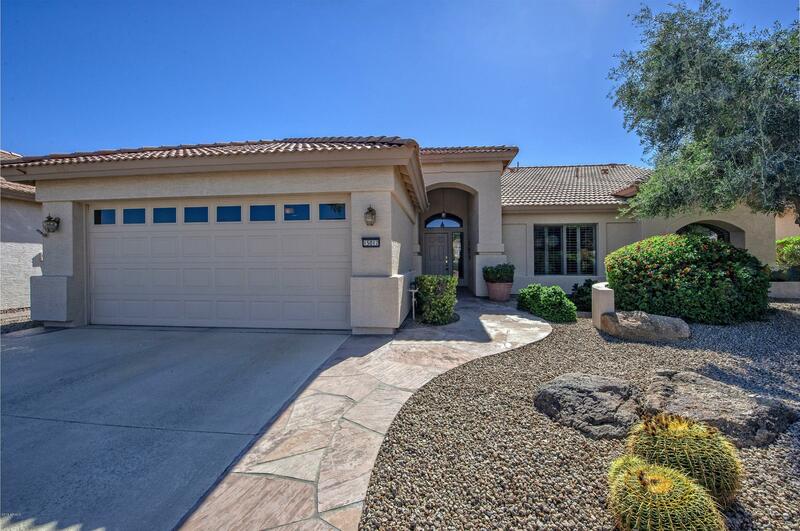 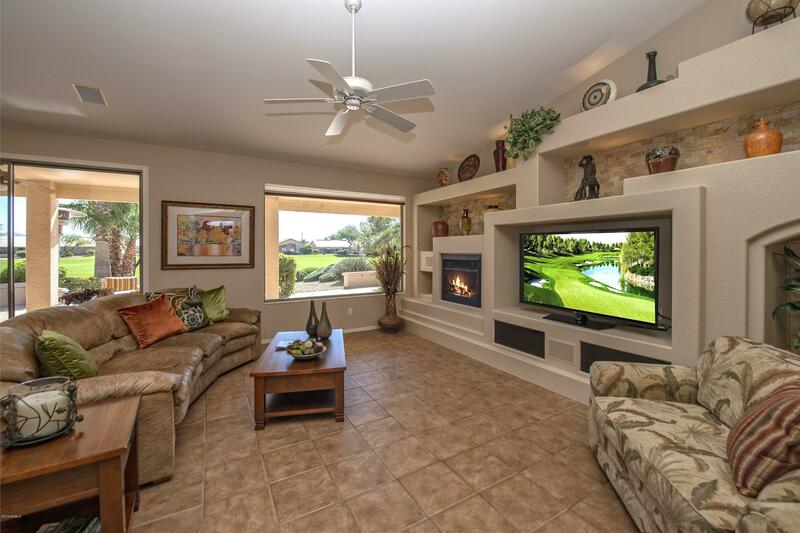 Welcome to the your new home in the active adult golf community of Pebblecreek! 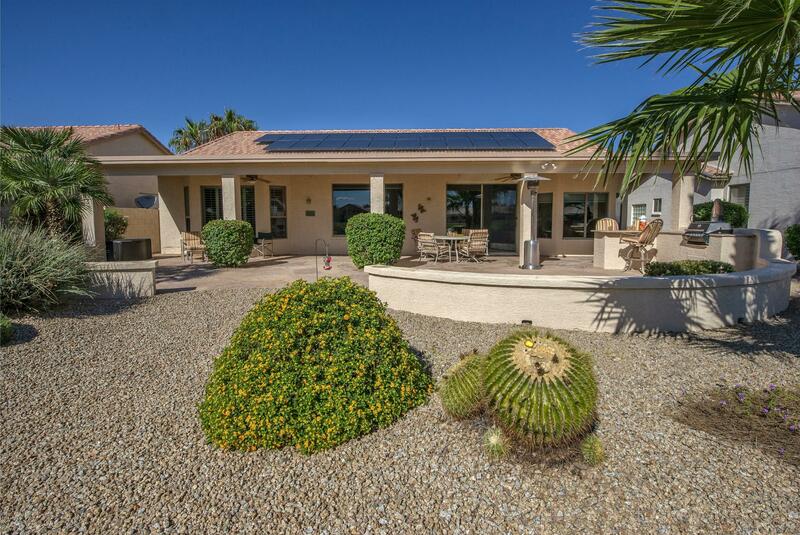 This home is what you have been waiting for. 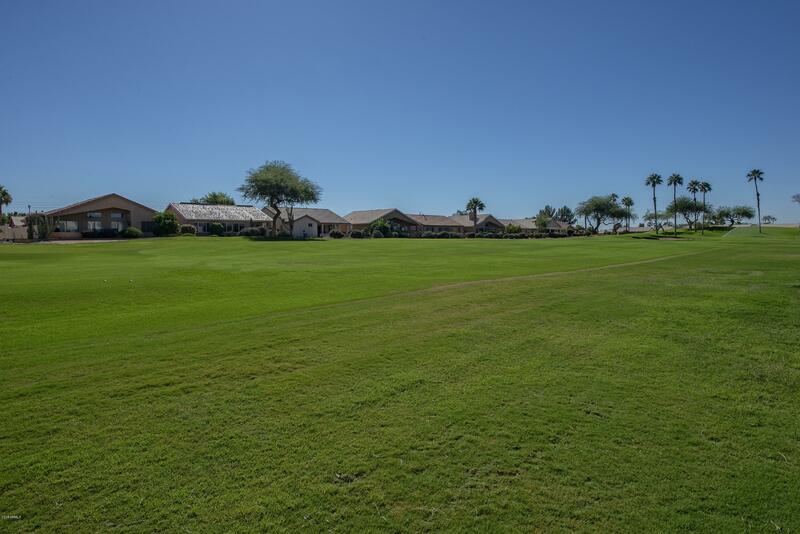 A commanding golf course home site overlooking the 16th fairway of the Eagle's Nest Golf Course and a little mountain view thrown in! 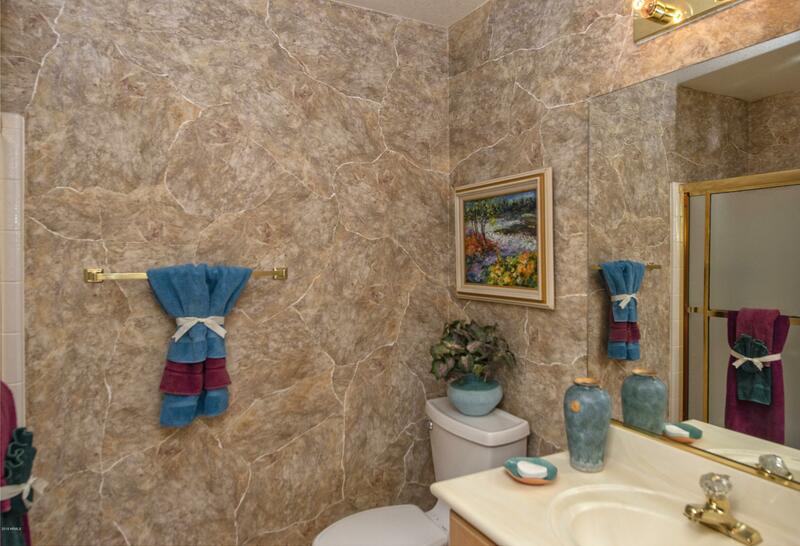 It has everything you need. 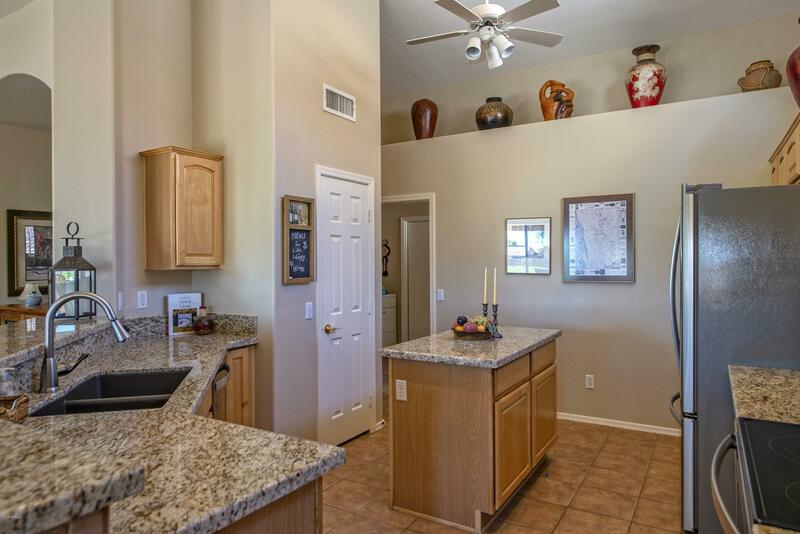 How about brand NEW granite kitchen counter tops, new stainless appliances, new granite composite sink and fixtures. 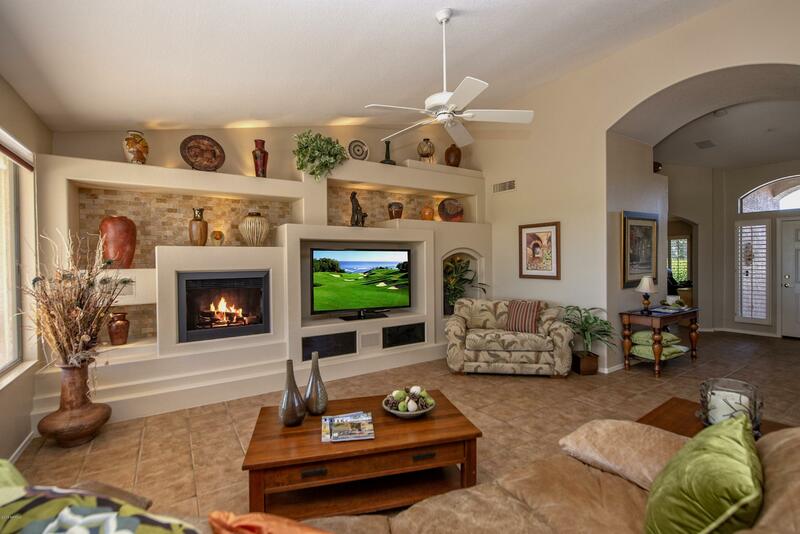 Enjoy the gorgeous lighted media wall in the great room with fireplace and surround sound for perfect balanced sound. 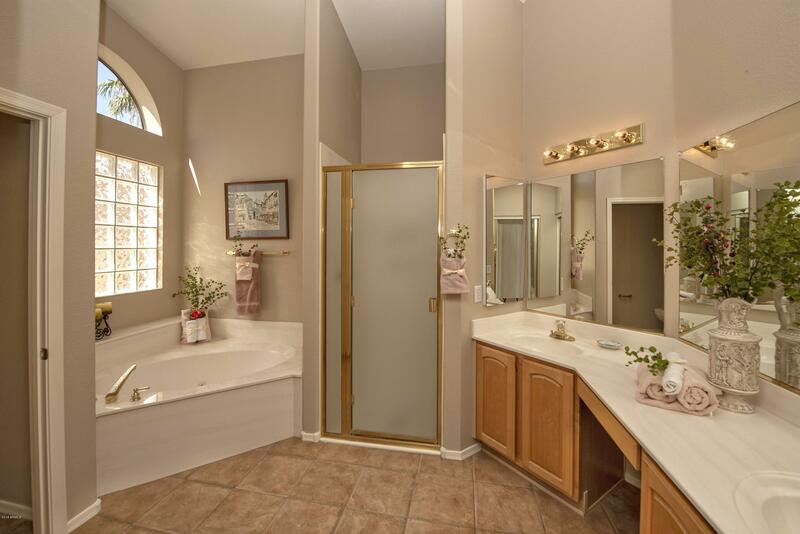 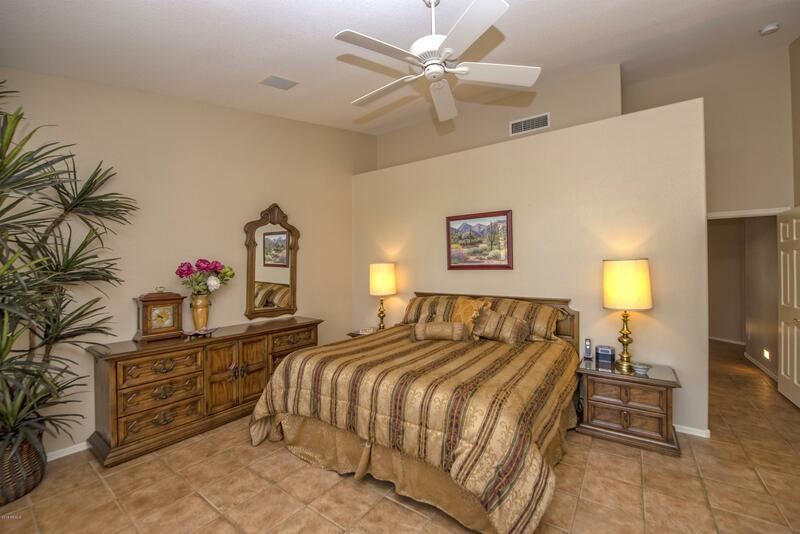 Master bedroom is spacious with en-suite separate tub and shower. 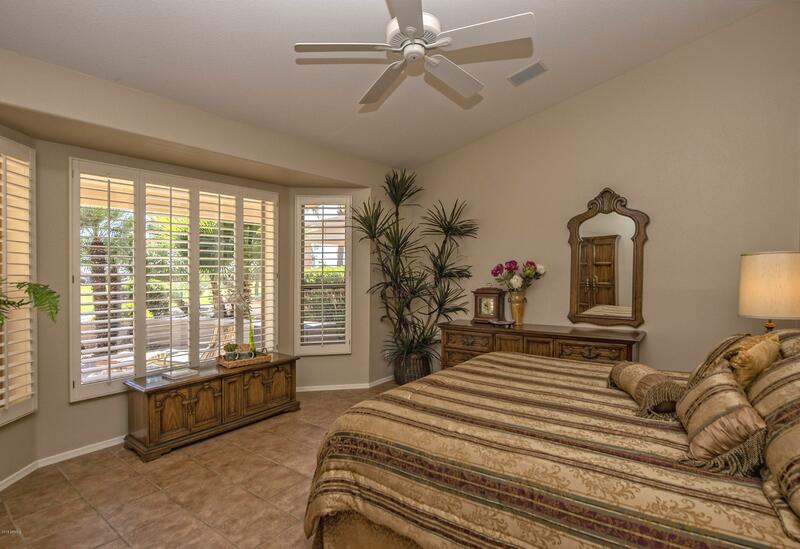 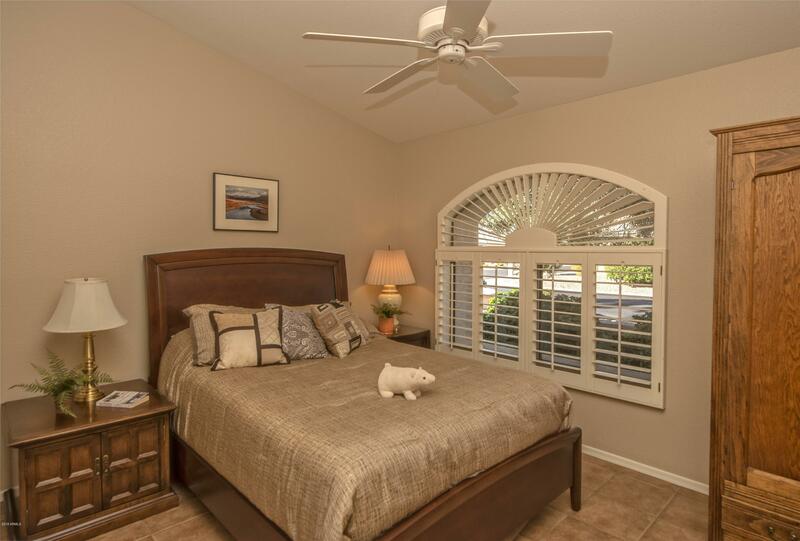 Your guests will feel right at home in the large guest bedroom. 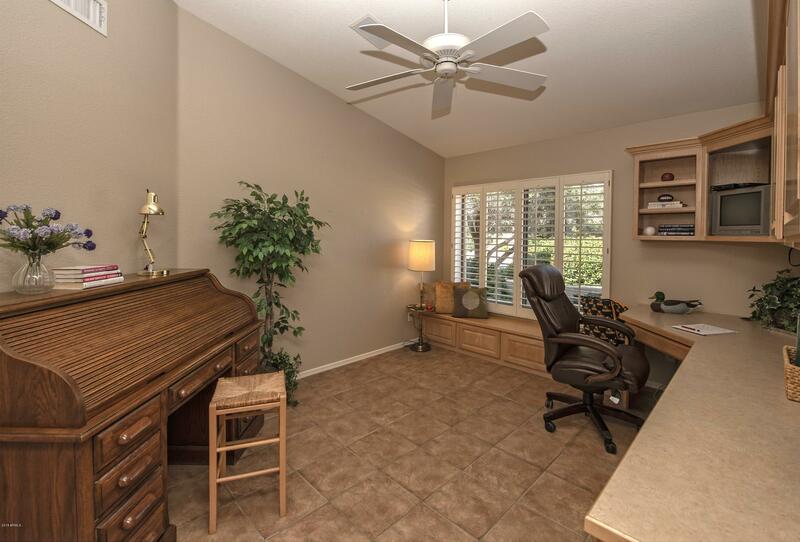 Work from the office with light wood built-in's. 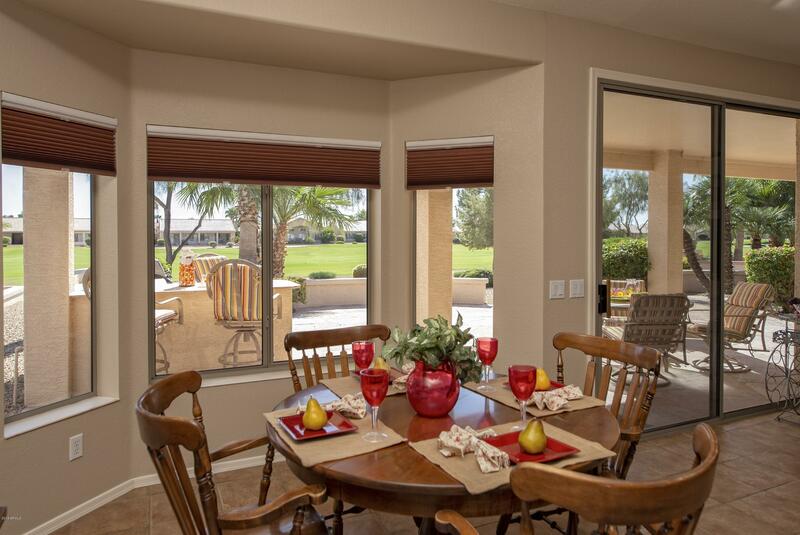 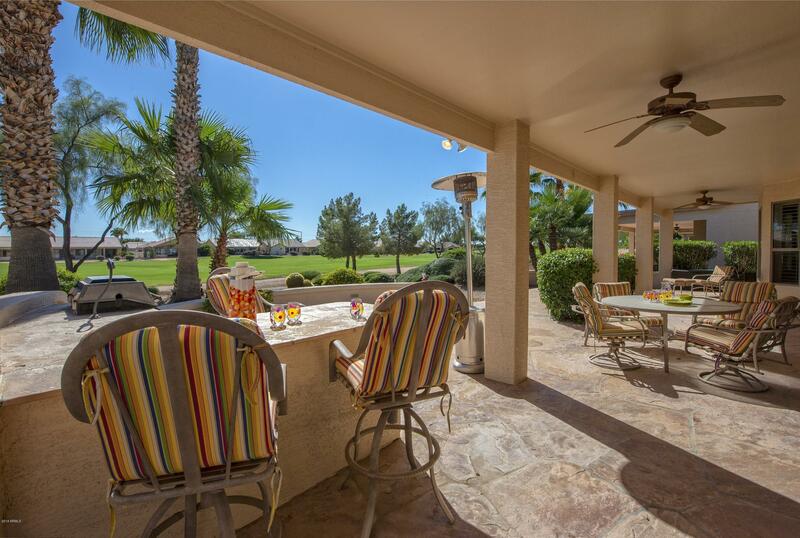 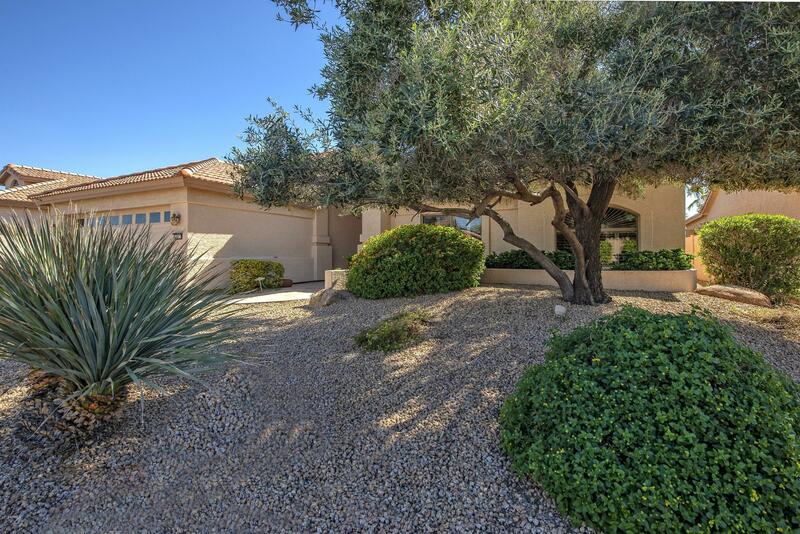 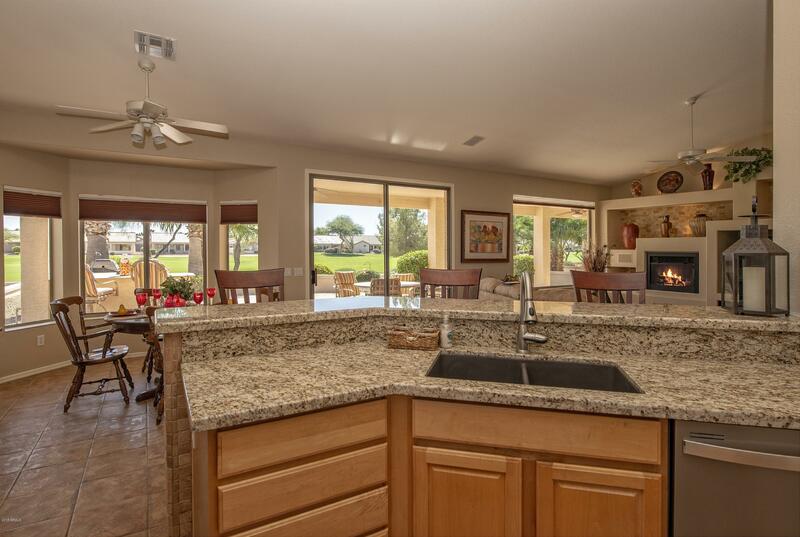 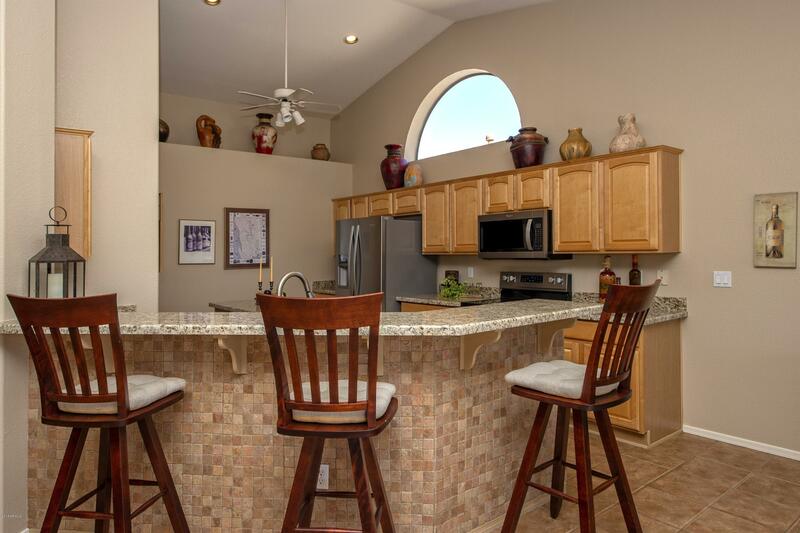 Enjoy the large patio overlooking the 16th fairway on Eagles Nest.